The Clarion Group is proud to introduce the European Faster Displays POS system to the South African marketplace. Faster Displays is a flexible and versatile POS system which allows unlimited scope to create self-supporting and self – mounting retail POS displays.The extensive and comprehensive catalogue features innovative and original designs which would add value to your existing or new promotional instore branding offering, by drawing attention to the brand or highlighting products on display. Brands are constantly in need of new innovative ways in which they can drive sales through creative product displays. 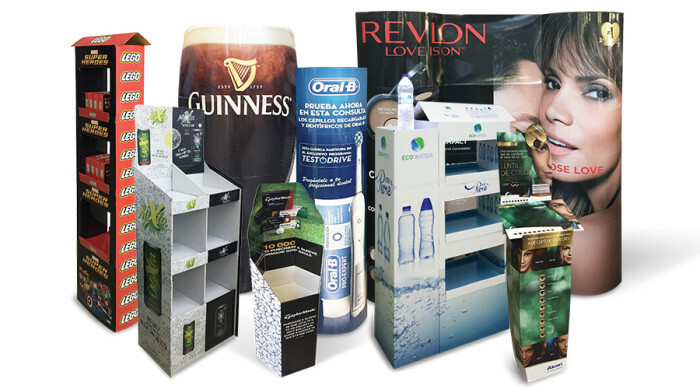 The premium quality product is lightweight, flat packed, re-usable, simple to assemble, dismantle and best of all cost effective, strong stock carrying units are also available.The team at Faster Displays looks forward to increasing your sales through this innovative POS offering. For more information go to www.fasterdisplays.co.za or contact The Clarion Group Head office on 021 534 25 21.